All of our coaches are volunteers. Some are current or former players, some are not! Flag rugby is easy to learn and our experienced coaches will help you learn quickly what you need to know to help out. Enthusiasm is our only requirement! We like to keep our coach:player ratio low, and every coach is likely to miss the occasional practice, so we need extra "Assistant" coaches to help out. Separate from coaching, parent volunteers are need to help distribute uniforms during the first few practices, and one Saturday a year we host the other teams in the league for a great morning of rugby in Brookdale Park. All parents will be asked to bring snacks for all participants (that's a rugby tradition!) and help us get the snacks and drinks set up and served to the 150+ players attending. We need help chalking (lining) the fields, and organizers for all of the above! 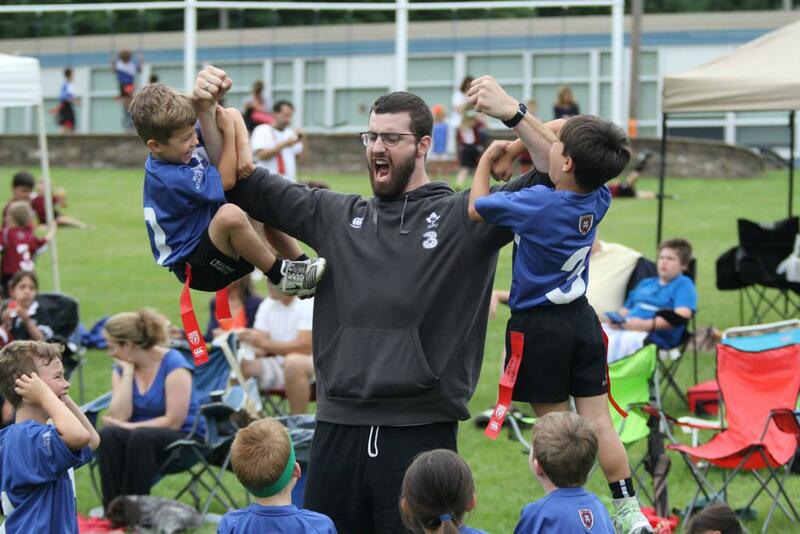 Many hands make for light work -- please help make Montclair Blues Youth Rugby a success. For the tournament we host, you will be contact by our organizing volunteer. If you are interested, please e-mail your interest to: MontclairBluesYouthRugby@gmail.com.